The BLS reports the mean salary for a Certified Nurse Assistant in Nevada was $33,000 in 2014. The best-paid CNAs earned approximately $35,595 while those on the lower end of the pay scale earned $25,093 in Reno, Nevada. CNAs who work in the metropolitan areas of Reno, Las Vegas, Henderson and Carson City earn the highest salaries. With over 5,000 CNAs in the state, there’s much demand for trained and experienced CNAs. The pay rate for CNAs in Nevada is higher than the national average; the state is among the top ten for highest paying salaries for CNAs. A CNA may find work in a variety of medical settings, including hospitals, assisted living facilities, and clinics. They provide direct care to patients under the direction of a Registered Nurse. If you’re considering it as a fast source of income or a full-fledged profession, you’ll need to start with the requirements outlined by the Nevada State Board of Nursing. Approved training programs facilitate 75 hours of didactic and clinical training, which prepare graduates for their roles and responsibilities as CNAs. The 8-week CNA training program at Majen Training prepares students for an entry-level position in the medical industry. Qualified instructors provide classroom and hands-on training to prepare students for Nevada’s State Licensing Exam. The course curriculum covers all aspects of nurse aide training with a strong emphasis on working in the acute care environment of a hospital. As such, students complete the hands-on training, not in an assisted living facility, but at the renowned Saint Mary’s Regional Medical Center. Over the course of 155 classroom and clinical hours, students learn how to measure vital signs and assist with exercise activities, specialized patient care, patient care, body structures and functions, safety and infection control, ethical and legal issues, and patient rights. Applicants for enrollment must provide proof of high school completion, documentation of immunization status (Varicella, Hep B, MMR, Tetanus), Healthcare Provider CPR card, health insurance, TB screening, drug test, and receipt for the background check. The program costs $2,100; textbook and workbook included. Other costs include scrubs. White shoes, stethoscope, background check, TB test, CPR, and drug test. Milan Institute of Cosmetology offers nurse aide training at its Reno, NV campus. Qualified RN instructors cover topics that give students the knowledge and confidence they need to excel on the job. In the classroom, instructors cover essential topics such as anatomy, physiology, infection control, vital signs, personal care, patient safety, ethics and laws, patient independence and rights, death and dying and caring for patients with special needs. Applicants must possess a high school diploma and pass TB and drug tests before entry. All applicants must submit to and pass a criminal background test before the clinical component of the training. At the end of training, graduates are prepared for success on Nevada’s State Licensing Exam. The total cost of attendance is $1,700 inclusive of tuition, textbooks, lab fee, CPR/First Aid. Job placement assistance is available to all graduates. The Certified Nursing Assistant (CNA) program at Truckee Meadows Community College is an occupational preparatory program, which prepares graduates to assist nurses in direct patient care. The Board-certified program provides the knowledge and competency training that help graduates succeed on the NSBN nurse aide skills competency and written knowledge exam. Students earn 6 credits after completing the certificate program. Prerequisites to enrollment include a criminal background check, drug screen, immunization, CPR card, insurance, and two negative TB tests. Students are responsible for the costs of immunization, tests, CPR, and criminal background check. Tuition for 6 credits is $507 for Nevada residents. Additional costs include lab fees ($50) and textbooks. The CNA training program at WNC equips students with the skills to assist licensed nurses in providing direct care to patients in a variety of health care settings. The classroom and clinical components of the program total 150 hours of comprehensive training. The Board-approved program prepares students for the state exam and is in full compliance with the Omnibus Budget Reconciliation Act (OBRA) and Occupational Safety and Health Agency (OSHA) regulations. To register for enrollment, applicants must provide documentation of MMR baseline, MMR one-month and Hep B immunization. They must also complete a TB 2-step and CPR training, and also provide documentation of major medical insurance. The tuition for the 6-credit program is $507, for Nevada residents, plus expenses for lab fees, criminal background check, TB tests, textbooks and CPR. The Sierra Nevada Job Corps center provides occupational preparatory training to individuals between the ages of 16-24. CNA training is one of many programs offered at the center. 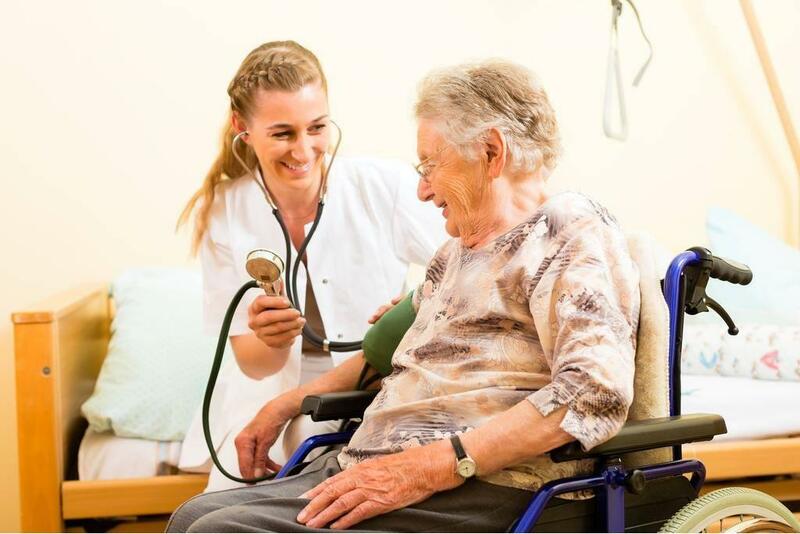 Instructors encourage self-paced study as students acquire knowledge and skills to assist nurses in long term care facilities, hospitals and other health care settings. The course provides at least 120 hours of instruction plus hands-on training at a local nursing facility. In the classroom setting, students learn communication and interpersonal skills, vital signs, infection control, basic nursing skills, personal care, safety and emergency procedures, ethics and laws, and patient rights. Training is free as the state sponsors the full cost of tuition, books, uniform, board, meals, transport and other living expenses. While a high school diploma is desirable to keep up with the intensive program, students can take the TABE test to opt out of this requirement. Students must abide by the center’s policies and dress code. At the end of training, Job Corps will assist with job placement and provide a transitional allowance for successful graduates.